I read an interesting statement in The Prayer of Jabez? If God is working through us that doesn’t mean in association with us. Through is an interesting term. It reminds me of the scripture in Zechariah where we are told that not by might nor by power but by My Spirit will God work through us. Our God specializes in working through normal people who believe in a supernatural God who will do this work through them. This will be my path for the next months – to spend more time in prayer – as I beg for more influence and responsibility so I can honour God. If I want to be a follower of Jesus I need to trust Him to do miracles; to open doors; to make divine appointments. So I am praying and believing. You will know beyond doubt that God has opened heaven’s storehouses because you prayed. I would love to pray with you or for you. Please contact me at Under the Cover of Prayer. Here is a wonderful reminder that God will open heaven’s gates if we pray and believe. Here are a few words from this song Did You Feel the Mountains Tremble? by Matt Redman. Lord, I know that I have to allow you to work through me. For that reason I give you my whole life to do as you wish. Lead me, guide me, push me. Open those gates and may I expand my territory for You. In Jesus’ name. Amen. 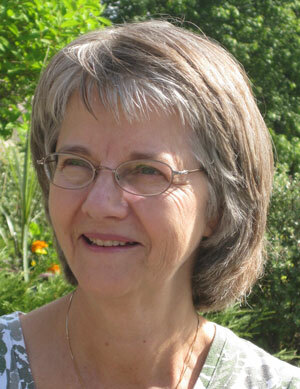 Janis is the author of the award winning children’s book, Tadeo Turtle, published by Word Alive Press. She is the author and watercolour illustrator. For more information visit Janis on her website He Cares for You. She is a member of The Word Guild and Inscribe Writers Fellowship.. This entry was posted in Under the Cover of Prayer and tagged blessings, Bruce Wilkinson, Contributor, Faith, focus, heaven's gates, Janis Cox, prayer, Prayer of Jabez, Why Pray? on March 28, 2014 by JanisCox. This is our third week in studying the Prayer of Jabez at church. As I repeat each day, “Lord, bless me indeed, expand my territory,” I see things differently. I take the time to connect with people on Twitter, on Facebook and in my personal life. God still gives me ample time to finish what other tasks need to done. ‘Not by might nor by power, but by my Spirit,’ says the Lord Almighty (Zechariah 4:6, NIV). If I want to be a true follow of Jesus I need to spend time with Him, to listen to Him and get to know Him better. Then I hope God will work through me to expand my territory (my ministry). As I work through two strong faith-filled books (Prayer of Jabez and Not a Fan) and read through the New Testament as a Lenten discipline, it seems like a big challenge. But nothing is impossible with God. Somehow I am doing this and not stressed in the least. Thank You, Lord. God always intervenes when you put His agenda before yours and go for it (Bruce Wilkinson, Prayer of Jabez)! This entry was posted in Prayer and tagged #SundayStillness, 1 Chronicles 4:10, bless me, Bruce Wilkinson, expand my territory, Janis Cox, Prayer of Jabez, Sunday Stillness on March 15, 2014 by JanisCox. Why Do We Ask God to Bless Us? We are attending a church that started a 6-week study of Prayer of Jabez by Bruce Wilkinson. Many years ago my Bible study worked through his book and we saw amazing things happen. Not sure why I stopped praying this prayer. call (God) holy; praise (God). consecrate (something) by a religious rite, action, or spoken formula. to bless in the biblical sense means to ask or to impart supernatural favor*. It is not asking more for ourselves – it is asking more from the Lord. It is a blessing from God that we seek. The Lord’s blessing is our greatest wealth; all our work adds nothing to it (Proverbs 10:22, TLB). God decides the blessing. We trust Him to give good gifts to His children. Bruce states this so clearly. Putting ourselves into His will – ENTIRELY. This year I have decided to be even more intentional in my prayers. Now I think I am ready for the Jabez prayer. I have seen miracle happenings and divine appointments in the past 2 months. Bruce says there is a CATCH – there is always one, eh? We must ASK for the blessing. Are you willing to trust God in His will for your life? Are you willing to pray this prayer – Lord, bless me indeed – every day? If you write about the Prayer of Jabez please email me and I will feature you next week as I continue this 6 week adventure in prayer. You can also tell me your experiences in the comments. * All quotes are taken from Prayer of Jabez by Bruce Wilkinson. This entry was posted in Under the Cover of Prayer and tagged bless me indeed, blessings, Bruce Wilkinson, Contributor, Power of Prayer, Prayer of Jabez, Specific Prayer Requests on February 28, 2014 by JanisCox. How Does the Son Shine on Me? 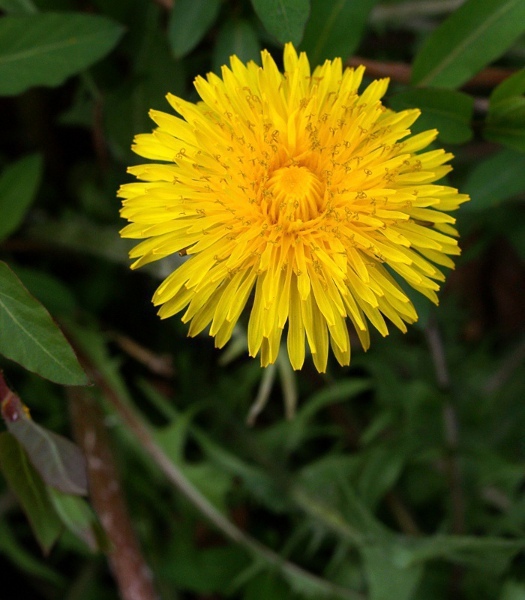 Have you ever watched dandelions? I mean, really watched them. They always seek the sun. They do not function well without it. Their petals close and they wilt. They seemingly, do nothing much, waiting until the sunshine returns. Recently, our lawn became an expanse of bright yellow; one brilliantly sunny day. Then clouds obscured the sun and the flowers closed and our lawn became green once again. Of course, we know that plants are constantly growing and changing according to the weather conditions. But to be their best, they need sunshine. When our lives take a dive, we too, seek the solace of isolation. We close ourselves off from others while we resolve our challenges and our hurts. In essence, we have a little pity-party while waiting for things to get better. We miss the good times. We need to seek light of a different kind. We need the Son of God for us to function well. As we grow in maturity as a Christian believer, we too, grow and bloom. We might be helpers or teachers. Perhaps, administrators or pastors; whatever our calling might be we need the Son, in order to be the best that we can be. The prayer of Jabez (1 Chronicles 4:10, NIV) effectively requests God’s Will with this prayer. “Oh, that you would bless me and enlarge my territory! Let your hand be with me, and keep me from harm so that I will be free from pain.” And God granted his request. It is a pretty affective prayer. I can testify to that. Just as a dandelion blossoms and follows the sun for the warmth and light, we Christians also enlarge our territories when we draw in the Son. As we follow Him, our lives are transformed and we too bloom and grow. Writing has always been a passion of Patricia. She can express myself better in writing, than verbally. She enjoys creating short stories and devotionals. Her favourite past-times: family-time; gardening; reading; walking and listening to good music. Married. Mother of two sons; step-Mom to a son & daughter and Nana to ten. Look for her devotionals at Pepe Prays and her blog at Patters Matters. 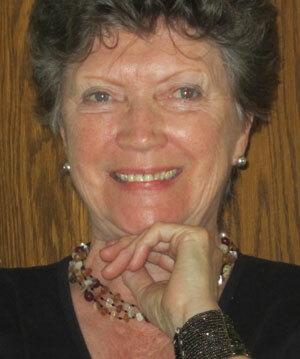 Patricia has recently completed her first novel – Eleanor, A Stolen Childhood – which is in the process of publication. Her second novel, Priscilla – Hidden in the Shadows is now being written. This entry was posted in Under the Cover of Prayer and tagged Contributor, dandelions, God, Patricia E. Day, Prayer of Jabez, Son of God, sunshine on July 1, 2013 by Patricia Day. DO I LIVE WITH A LID ON MY PRAYER LIFE? “to expect God to show up with divine wonder” (Wonderstruck, Margaret Feinberg). But am I playing it safe? Do I continue day after day – just doing what I do – and not looking or praying for wonder? Yes that is what I need to do – pray for wonder. “”Jabez cried out to the God of Israel, “Oh, that you would bless me and enlarge my territory! Let your hand be with me, and keep me from harm so that I will be free from pain.” And Godgranted his request”” (1 Chronicles 4:10, NIV). During the time we studied this little book and prayed for our territory to be expanded – amazing things happened. “live each day like a child digging through a treasure chest, riffling for the next discovery” (Wonderstruck, Margaret Feinberg). This is what I am embarking on this week. Maybe you will join me – pick up a copy of Margaret’s book – and let’s be amazed at what God will show us. Lord, as I start to lead this group study on Wonderstruck, I pray that you will guide our thoughts and minds to get closer to You. Help us to drop the world’s challenges, fears and doubts and lay open our hearts to see the wonder of You. In Jesus’ name I pray. AMEN. This entry was posted in Prayer and tagged Contributor, expectation, Janis Cox, Margaret Feinberg, prayer, Prayer of Jabez, wonder, Wonderstruck on April 26, 2013 by JanisCox.